Chips and salsa are one of my favorite snacks. 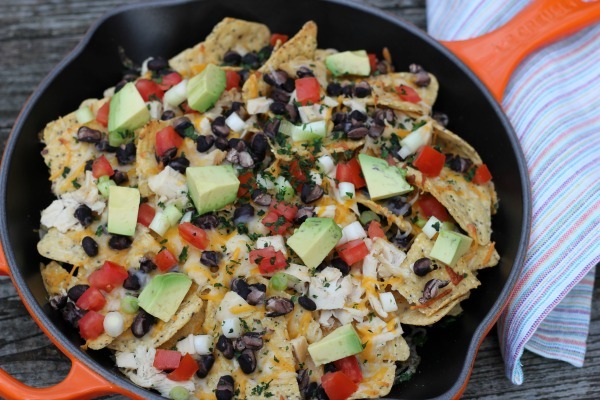 Add some chicken, cheese, black beans and avocado and you've got dinner! we're usually the oldest ones in the place. What is it about college students and Chipotle? 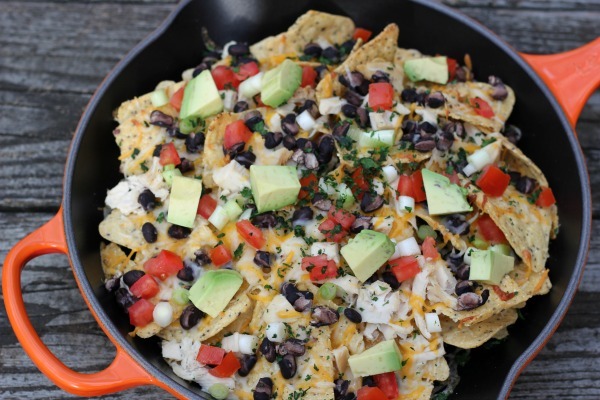 bake them and then eat the nachos right out of the skillet. 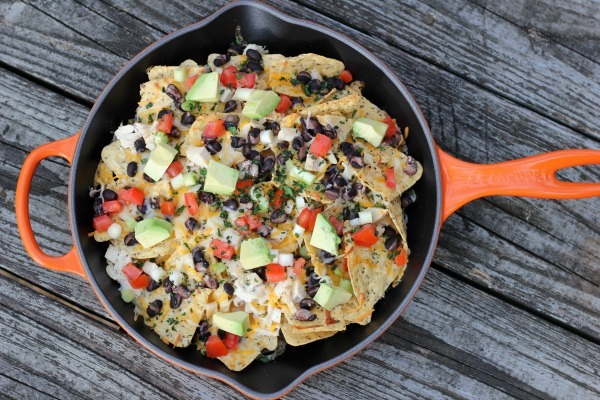 Gotta love a one-pan dinner! chicken and black beans. Add another layer of chips and repeat. Top with chopped tomato, avocado, onion and cilantro.